Many people have asked me: Where do you get your inspiration from? I have three answers.. But let’s face it…Pinterest being the absolute #1! Even as a DIY blogger I “pin” items to boards and dream about all the creativity that is within this wonderful world of Pinterest. (I mean come on, people plan their weddings from it…so it has to be great!) I’ve come to the realization that I actually do have a “creative side” in me, but the reality is sometimes even creative people need some inspiration. 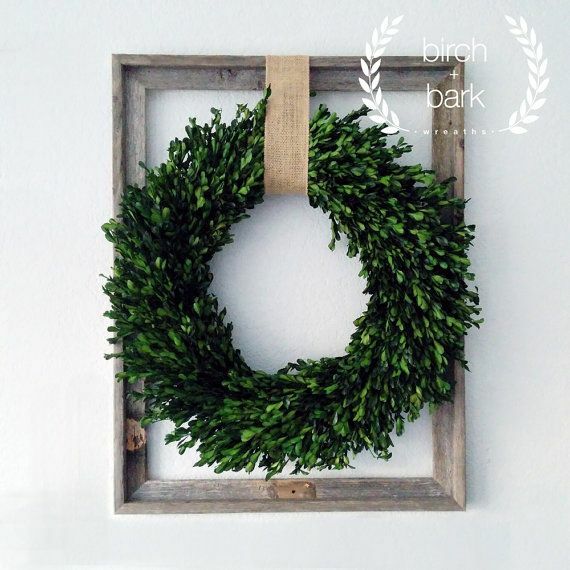 I love trying fun (and easy) DIY projects that I come across. While the world of bloggers is very wide and vastly growing I always want to give credit to ones that have inspired me. I have linked below some blogs I came across that inspired me to create this beautiful mason jar lid pumpkin! The great thing about blogging is we all put our own twist to things, which I came up with a few added details myself to make the process a little easier. Shout Out to These Blogs! 1. Start off by spray painting all the mason jar lids with the Antique Gold finish! 2. Wait about 15 minutes to let it dry and use sand paper to lightly sand off the edges to reveal the “two tone” look. 4. Pull tight and tie a double knot. 5. Take 1 wine cork and place it into the middle so that the lids are sitting upright. 6. Use the center part and hot glue it to the bottom so that it acts as a base. 7. Once the base is dried, flip it over and hot glue the 2nd wine cork in the middle, which will act as the “stem”. 8. Either cut the excess string/lace off OR use it as a decoration on top. 9. OPTIONAL: Add decorative leaves on top to give it a pop of color! Here’s another video I did with a tutorial of all the steps! How cute are these?! You can use them all over your home AND they can easily transition into your Thankgiving decor, maybe even as a table centerpiece! I hope you all enjoyed this fun project and it inspires you to get your creative juices flowing! Have you ever hear the statement-“When you build up your spices in the kitchen cabinet, cooking becomes easier and more cost-efficient.” Well, we can apply this same idea to crafting/DIYing! Although, it’s more like fabric pieces, gems, hot glue gun, ribbons, and the list goes one… I have built up solid “basics” of craft supplies and I thought it would be fun to use what I have and create a “fall inspired” centerpiece for my coffee table. The Florida Morehouse family had a stay at home kind of weekend. Little Johnny came down with a cold, which he needed rest days to recuperate (although, he had all the energy in the world, just with snot hanging down his nose! haha) This led me to getting a few fun projects done around the house. (Especially all things pumpkin related!) 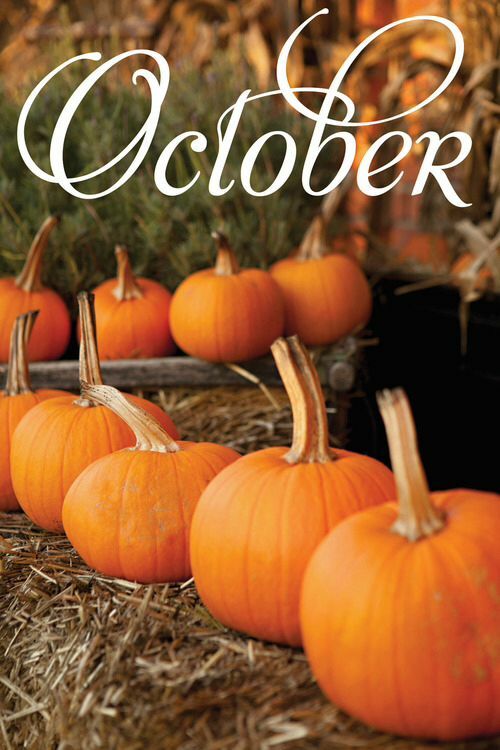 October is my all time favorite month (it may have something to do with it being my birthday month, just saying…) To me it marks the time of year where the “seasonal activities” are embarking. There’s quite a bit to offer in this post, and I should probably break it up into two parts, but here’s the honest truth…I’ve tried doing that before which it’s quite hard for me to come back to it later. My motto is get it done all at once, mainly because I tend to be scattered brained where my mind gets off track to other projects. Although, it’s a great post that allows you to pick and choose different decorating techniques to incorporate in your home, especially since they’re easy and budget friendly! Anyways, grab a hot cup of coffee and get cozy (or in our case, turn up the air conditioning and “pretend” it’s fall weather) and follow me as I take you through this tour of my “Budget Friendly” Fall Inspired Coffee Table Centerpiece. Below you’ll find the pictures with links and detailed descriptions on how I managed to create the staging of my coffee table centerpiece. This is an upcycled project! Here I have a tiki torch where I took out the tin and replaced it with a mason jar along with artificial flowers and a foam ball to give it more height! I love the frame of the torch and the height it gives. The above picture is a “no-sew” pumpkin that I created within 15 minutes. It was so easy and it adds great detail along with adding different textures immersed in the display. (I’m a big fan of decorating with textures if you haven’t noticed…haha) Click the link below to watch a youtube tutorial that helped me! This pumpkin is another upcycled project using mason jar lids! Stay tuned for a DIY Friday post where I’ll take you through the steps! I love decorating with books or magazines! Here’s a trick…checkout hardcover magazines from the library depending on the season you are in! It adds more color along with height to your display. What’s your favorite “fall inspired” decor item? I have been on the search for rustic wooden frames (or old wood window frames), but I haven’t had any luck (mainly because I’m looking for them to either be free or at a very budget friendly cost!) A few weeks ago I was at Ace Hardware picking up primer and I spotted the paint stir sticks sitting in the corner. Here’s the great thing about stir sticks…. I had this notion that somehow I could turn these into a decor project for my small home. So…I asked the cashier if I could take as many as I wanted and her response was “Of course, they’re free aren’t they!” (My kind of cashier!) 😉 I honestly didn’t know what type of project I was going to create at the moment, but I knew something great could be made out of these simple stir sticks. I saw the p o t e n t i a l.
It was the week after Hurricane Irma when our power was still out and I was getting restless. Little Johnny was napping, my house was dirty, and starting to smell, but it was impossible to clean in the FL heat…so, I decided I needed to release my tension by getting my creative juices flowing. I went outside and stared at these stir sticks for a while, then it hit me (probably because I’ve been watching Fixer Upper lately…) these sticks can be used as a frame! I pulled out my stain, wood glue, paint brush, and away I went in creating a wooden frame! This time I created a video that includes the steps, since it was such an easy project. If you like the video, let me know so I can plan on doing more videos on easy DIY Home Decor projects! Thanks for following along and I hope this inspired your creativity! Here’s the honest truth about DIYing…it can be messy and does not always go as planned, which is probably why many people shy away from it, am I right?! Although, call me crazy I actually have fun problem solving and figuring out a way to fix what I screwed up in the first place. 🙂 This Friday I’m presenting a DIY FAIL that actually turned out to be a successful project. I was the lady running around my house literally rummaging through everything to see what I can upcycle as “hooks” for my wall hanger. It paid off because I found the perfect solution! Tiki torches…YES, that’s right! I’m not any different from anyone else and let me just say…I have many fails, but the good news is I learn from them and they help me to grow in my hobby of DIYing. Why would I write about a failed project? Because it shows the real life side of things behind blogging (especially when you blog about DIY projects). I have always made it my goal to be honest & real with my followers. If you want to read another one of my fails, check out my DIY Fail photo wood transfer. Let’s move onto the project, shall we?! My original plan was to use wine corks and rocks as the “hooks”, well long story short it definitely wasn’t strong enough to hold objects like bathroom towels, which was the whole purpose of me creating this! I used gorilla glue to attach to the corks and rocks. They were attached securely (or at least I thought) to the wood, but as soon as I went to hang a towel on…the cork fell off…:( So obviously, gorilla glue wasn’t the trick. I had to find something that I could actually screw into the wood. ^^As you can see in the above pictures, it does hold things that are very light, but nothing that is heavy. Let’s back up for a second and talk about the wood I used…this was a cut off section of a pallet I found a few weeks ago! It was perfect for this project. I decided I wanted to go with a “white wash” look. I have been watching Fixer Upper lately (I just found out that the new season is on hulu! YES!) and recently they had an episode where “white wash” was a topic of discussion (you know the episode?) I have learned a lot about the process and event though I’m not loving the end result it’s something I can live with. The problem with my wood is it’s too light. I should have stained it a darker color so the white would appear brighter. Here’s a great blog I found while researching with more details on creating a “white wash” look. Are you ready for the big reveal of what worked for my “hooks”??? The cover for the top of a tiki torch! Yes, that’s right! It adds so much character and they’re so simple. I attached them with screws (I just “hand” screwed it in.) so this time I’m not left with my hooks falling off, haha… As for attaching the actual wood piece to the wall, I chose to use a very strong double sided tape that holds up to 30lbs. It works well, but you can definitely screw it into the wall! Here’s to DIY fails! We learn from them, and create even better things! P.S. Wish all the wonderful dads out there a Happy Father’s Day from me! Enjoy your weekend! As a DIY gal you always tend to have a bunch of unused mason jar lids lying around. Recently I was researching on how to reuse them, and the idea of coasters popped up. If you’re looking for a fun way to be creative, but just don’t have much time to dedicate, let me just say…I’m pretty sure this project was meant for you! No tools, paint, nails, or screws are required. This one is easy peasy folks! 1.Take the inside part of your mason jar lid and use that to trace a circle on the cork board using the sharpie. Then cut it out. 2. Use your hot glue gun to glue the two pieces of the mason jar lid together. 3. Take your cut out cork board circle and hot glue the side that you want to place on the lid. You may need to push down a little in order for the cork to fit. 4. This part is optional, but I choose to use a stamp and add a little monogram to the coaster. I just used black acrylic paint.